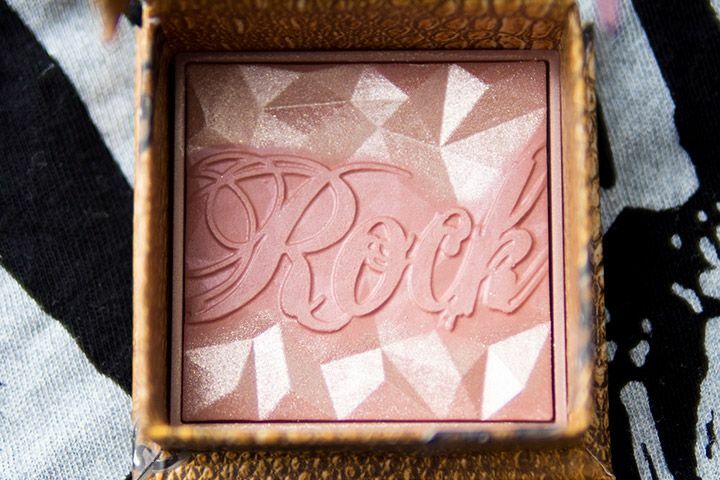 Rockateur is a warm pink beige blush. It has a rose gold overlay (on the top and bottom prisms) when you first open it. 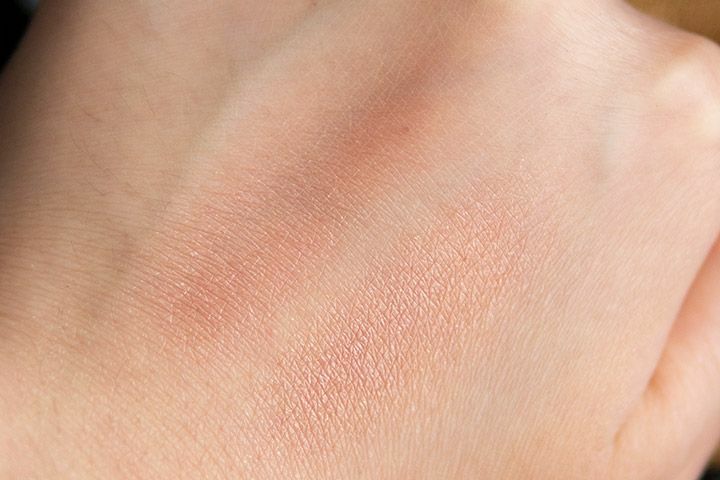 Once it's gone you are left with a beautiful flush tone blush, which is the colour you can see in the center where there is a "Rock" embossment. It says it is designed "for girls who don't blush easy". I really like it on me because it does makes me look like I have a natural flush. After rubbing off the gold overlay, I don't think the shimmer is that prominent anymore. So if you prefer no shimmer for your blush, you might want to remove the overlay first. Like always, it comes with a box with magnetic closure and when you flip it open it reveals the mirror and the brush. Removing the brush, you'll see the product. Unfortunately, I have never been a fan of this flipping mechanism, because I have damaged the blush inside with the flap :(. But it is a personal preference. If you don't mind it, it should be ok for you (just play with it in store first). I feel that the formula of these Box o' Powders is improving over the years. The formula of this particular blush is very soft, similar to the one in the Matthew Williamson Rich Is Back Kit, but even softer. It blends nicely on the skin, and, surprisingly, it gives pretty good colour pay off. The pigmentation is somewhere in between Hervana and Bella Bamba. I really enjoyed using it for an everyday colour just because it works for every occasion. It got decent lasting power, I don't really need to retouch unless it was a hot and humid day. Like all other Box o' Powders, it smells amazing but I don't know how to describe the scent because I have associated the scent with these cheek powders for so long! lol. 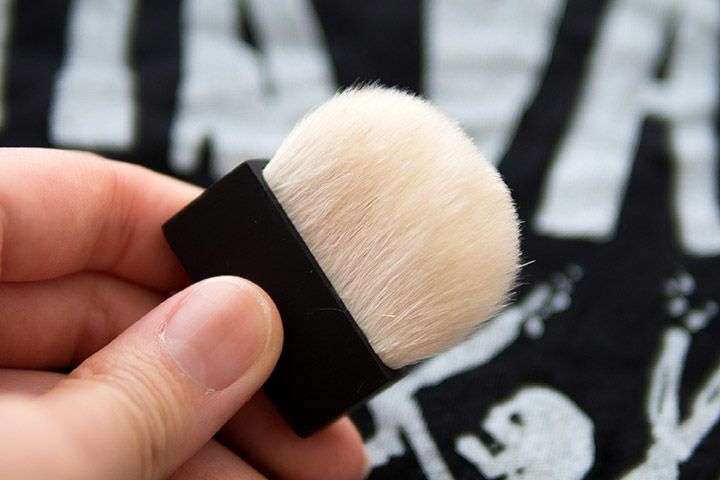 All of the Box o' Powders come with a brush, this time is a round top one similar to the brush in Bella Bamba. It is not particularly superb brush, I usually don't use these brushes unless I'm desperate (no clean brushes lol). But it is a nice thing to have on the go and for emergency. UPDATE: I have also been told that the brush "has been updated for a more even application". While I can't tell you if this true, I will test it out against the old brushes and let you know what I think :). 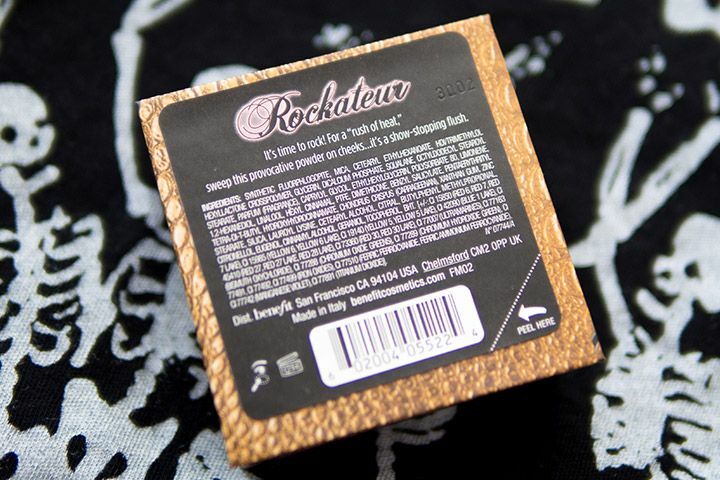 One quick thing to note though is that Rockateur comes with 0.17oz of product, in comparison to other Box o' Powders that contains anything from 0.25oz to 0.28oz. 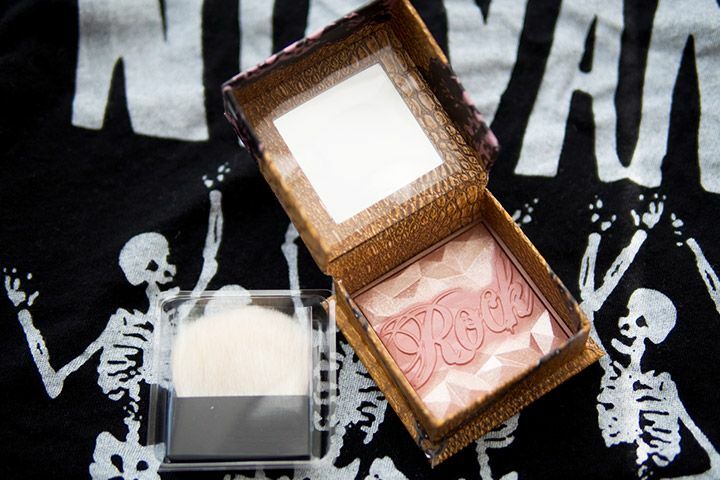 The packaging is the almost the same (Rockateur is even "taller" than Hervana), but there is a significant reduction (32% to 39%) in weight. For the same amount of money, I feel that it could have come with more products. I do not know why there's a less products. It could have been because of the change in formula that make the powder more weightless or simply just a reduction in size. Either way, I can see why people are upset about this. UPDATE: I have communicated with Benefit Cosmetics. 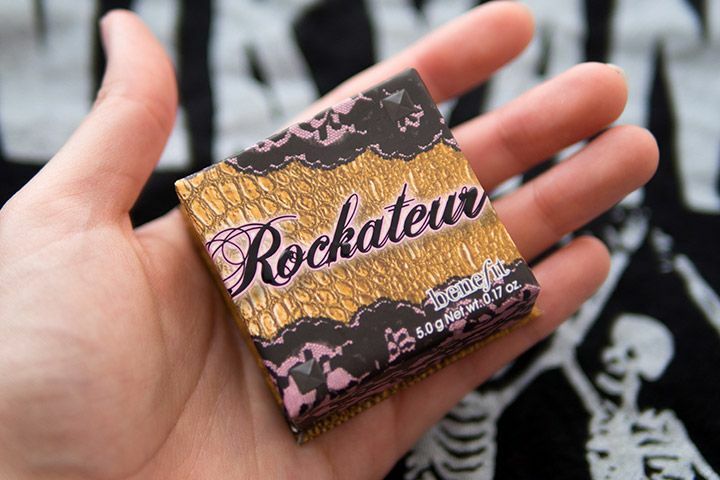 They explained to me that the formula in Rockateur has been improved. "It uses a brand new ‘prisma technology’ that combines all the best features of baked, powder, cream and liquid blush, to create a brighter, purer pigment. This results in a truer color with high payoff." I do feel like the claims are true because it gives quite good colour payoff when you compare to other box o' powders that were released in the past (with the exception of Bella Bamba, which is just crazily pigmented). Therefore, even it comes with less products, you actually use less products in each application. I find it quite true when I think about Hervana because it does require more product to build up. 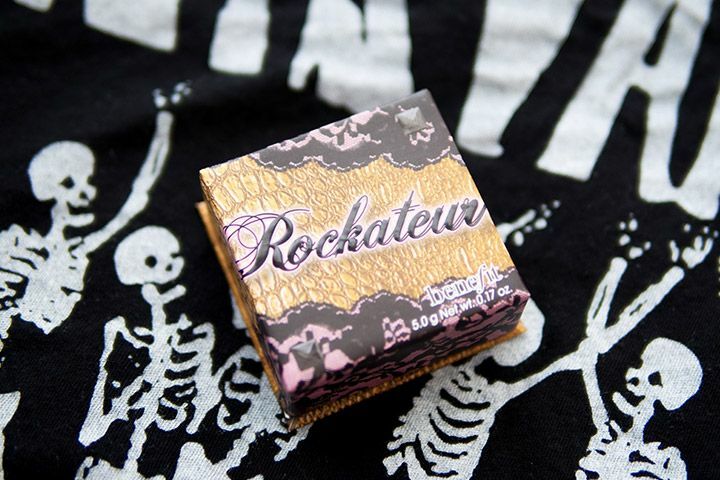 If you're looking for a natural flush tone with a cute design, you may want to check Benefit Rockateur out! I would recommend this blush for anyone from light to medium/deep skin tone. 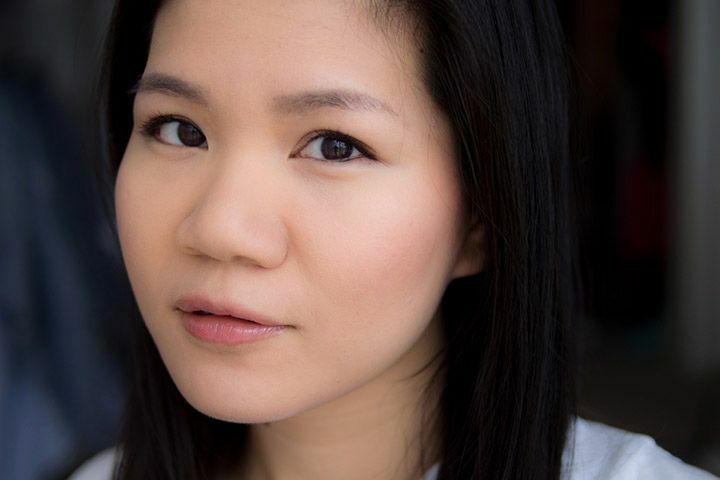 I also think it works best with warm undertone, but it will bring warmth to your cheeks if you have cool undertone. As with anything, swatch it in person first before buying :). Even though there is a reduction in weight when comparing to other Box o' Powders, I don't feel the value takes away the quality of the actual product. If you do not mind the amount of product it came with, then I think this blush will not disappoint in other aspect. So, I'm definitely going to be wearing this blush in my upcoming gig. But to be honest, I have just been wearing it every day :P. Are you as excited for this beautiful rose gold blush as I am? 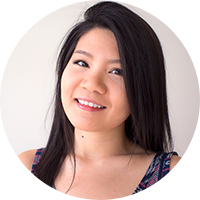 I love your headshot! Soooo pretty!! It looks very pretty on you!! This looks so lovely on you! Stunning photo! Yes, as much as I like the rose gold colour, I agree that the shimmer is just overlay because if not it could emphasize pores. Thanks Emily :$... It took many shots to find a slightly more presentable one lol.